Many people assume that there’s no point in having a public debate about the consequences of Walmart’s dominance of the U.S. economy, because the company is already a widespread fact of life. We must reckon with that reality, the thinking goes, and try to figure out how to make Walmart a better company. While that’s certainly true in one respect, this view risks overlooking a crucial, and terrifying, fact: Walmart is expanding, rapidly. 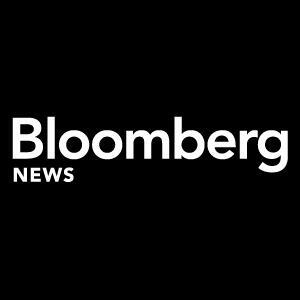 There is a critical debate to be had right now about whether a company that already captures one-quarter of U.S. grocery sales should be allowed to grow to control one-third, or even half, of our food supply. 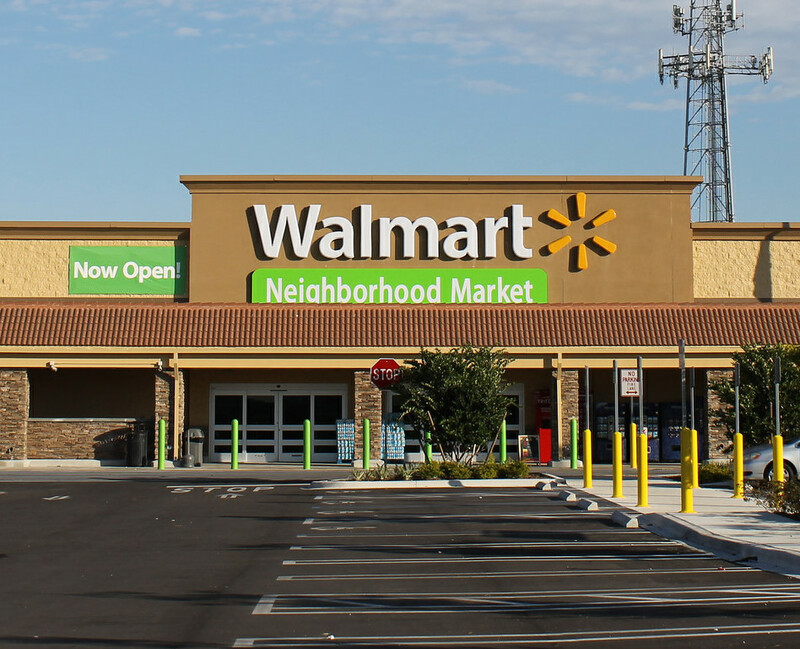 With that very aim in mind, Walmart is now embarking on its third historic wave of store construction, with plans to build 440 to 460 “Neighborhood Market” stores over a two year period, presumably with many hundreds more to follow. Neighborhood Market stores are large supermarkets, about the size of an NFL football field, fronted by a few acres of parking. Walmart has been quietly testing them in a few states and is now launching a full-scale rollout. The idea is to build these new stores in the gaps between its giant supercenters, so as to vacuum up more and more food sales. Already, Walmart captures over half of grocery sales in 40 metro areas, according to Metro Market Studies. 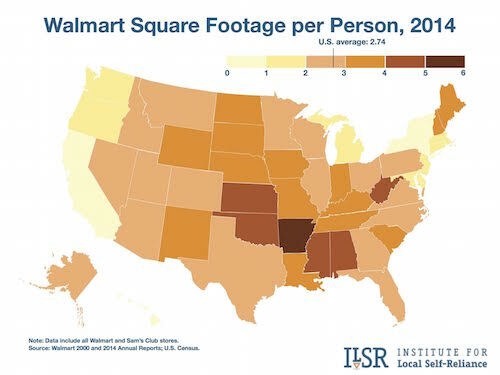 To help illustrate the alarming trajectory of Walmart’s expansion, ILSR produced these two maps. 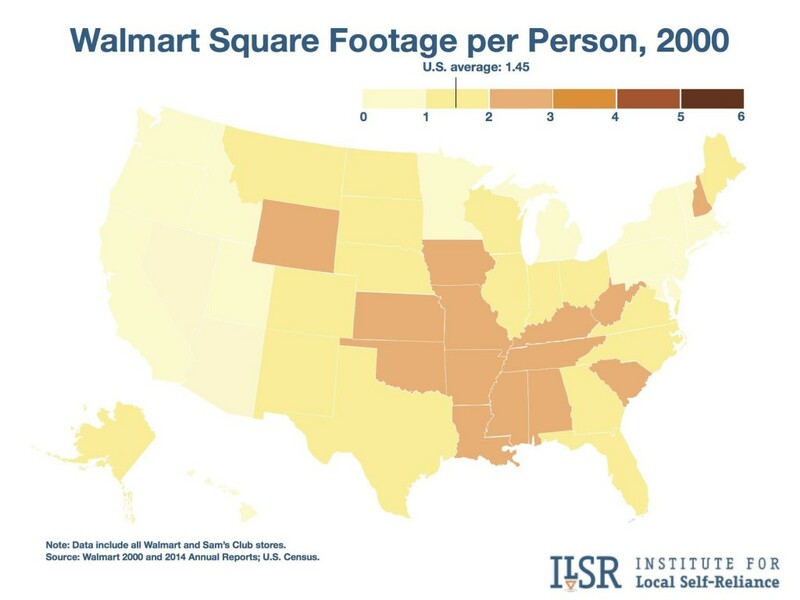 The first shows how much store space per person Walmart had in each state in 2000. The second shows how much space the company now has. Nationally, Walmart has doubled its footprint since 2000 to a roomy 2.74 square feet of retail store space for every American. In Arkansas, Walmart has 5.54 square feet per person — a figure that suggests that the company, which is building about 90 supercenters a year along with its new Neighborhood Market stores, could easily chart a path to tripling its presence in states like California and New York, where it now has less than 1 square foot of store space per person. The big question is, should we sit back and let it? Or is it time that Americans get serious about resurrecting anti-monopoly policies?